Please join 2nd Planet (Clarence Williams on guitar, George Franklin on bass, Mark Edgar on drums and Darrell Brogdon on keyboards) at Vino Godfather Winery which is the Gateway to Napa Valley that produces hand crafted, small batch wines. 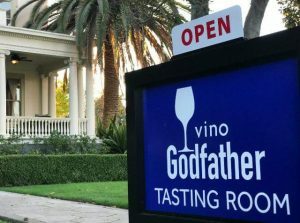 In 2015, Vino Godfather Winery opened a tasting room on beautiful Mare Island, in Vallejo, California in a Stunning Grand Historic Mansion in addition to a wonderful outdoor music venue for your music enjoyment and conversation. All this for only a $15.00 cover charge! See you there!